After putting the olive oil in a cooking pot, add the chopped garlic, the ñoras and the tomato cut in quarters; sauté for 15 minutes. When the 15 minutes have elapsed, add the morralla. Add the saffron, the mineral water and the sea water; let it cook for 45 minutes over a very low heat. Let the stock rest covered for 1 hour and then strain. Bake the tomatoes in the oven. Fry the garlic and the ñora, adding the baked tomato, and let it cook for 15 minutes over a low heat. Place in a blender and mix to a puree consistency, then put it through a fine-mesh strainer and set aside. After adding the salmorreta and the rice, sauté and add the hot fish stock, and leave it all to cook on a high heat. Then reduce to a very low heat and let it cook, placing the spinach and lightly stirring; we place the white anchovies completely filleted and de-headed on top of the rice. Cook for 2 more minutes and it’s ready to serve! 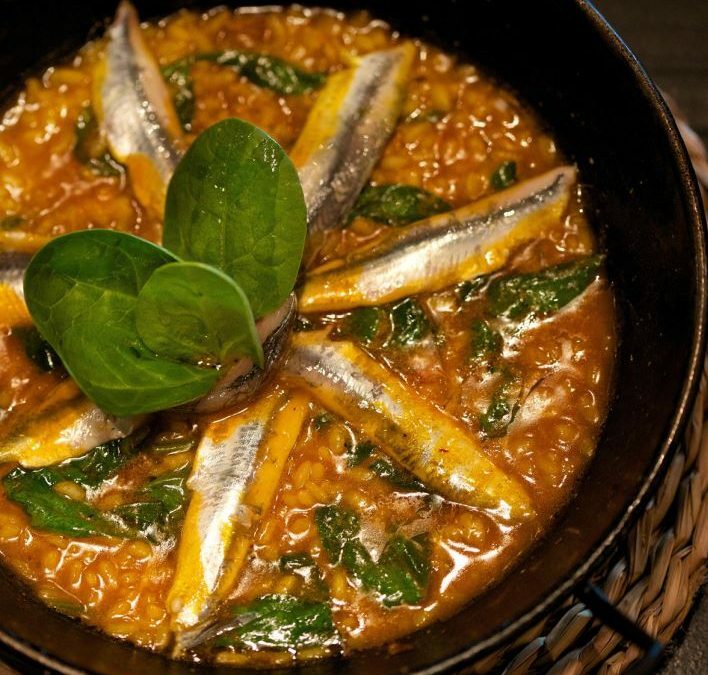 Rice is undoubtedly the starring character in Alicante city’s gastronomy. So much so that we could practically eat a different speciality each day of the year. Dry rice, brothy rice, rice with seafood, creamy rice, rice combined with vegetables, meat or fish. In fact, the best products from both the Alicante coastal and mountain areas blendwith our star ingredient to offer us the best of our healthy and tasty Mediterranean diet. “Alicante City of Rice” will give you the chance to be familiar with the recipes of the most outstanding rice dishes; from traditional dishes rooted in Alicante’s centuries-long pantry to avant-garde dishes which advocate creativity and fusion with new tastes. All of them are rice dishes cooked with Mediterranean passion that you will be able to enjoy paired with the prestigious Alicante Protected Designation of Origin (D.O.P.) wines. 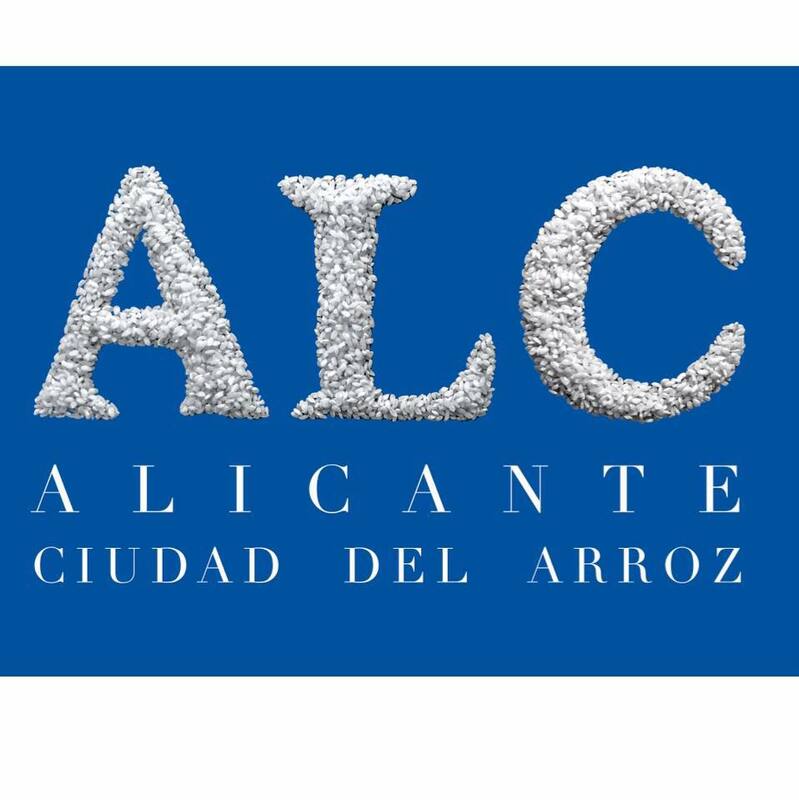 “Alicante City of Rice” is a project that has as its aim not only to highlight the value of our wonderful gastronomic tradition but also to become a meeting point, with rice playing a central role.